Stone is becoming a popular option for those who would like to switch from the standard stainless-steel to ceramic type bathroom choices. The right bathroom sink is both beautiful and functional. Carved from a single piece of rock we here at LivingRoc choose the highest quality of stone from granite, marble, onyx and basalt. 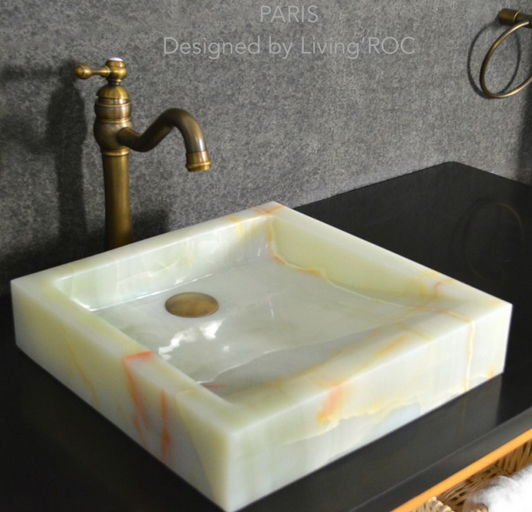 Take a look at what LivingRoc has to offer in our line of bathroom sinks. 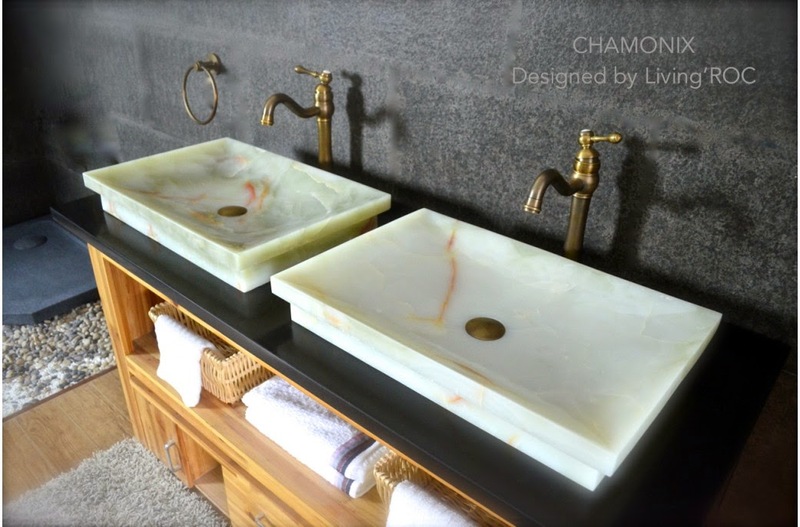 CHAMONIX is a natural stone rectangular White Onyx bathroom single vessel sink - 23.3" x 15.7" x 3.5" - genuine interior decoration pure genuine Onyx. Its four sloping edges allow a large amount of water. This creation will give your bathroom a minimalist still elegant look. Oval Oblong natural stone vessel sink COCOON - 19-2/3" x 15" x 6" - genuine interior decoration trendy gray andesite (basalt). 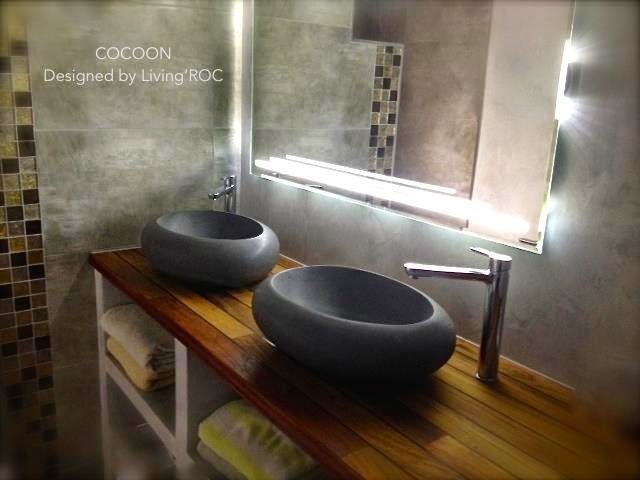 Make your bathroom outstanding, unique, and friendly with Living'ROC creations! Looking like a bird's nest its oblong curves evokes a place of well-being and healing. The basin is not only beautiful to look at it is also functional with its height and its edges allowing a large amount of water. All of our vessel sinks are the creation of a combined group of talented masons dedicated to the idea of creating bathware made from natural material, which is environmentally friendly. Waterproofed BALI is ready to use, sitting on a vanity counter top. If you wish to standardize your project, you can choose among a wide range of our Trendy gray granite shower trays carved from the same material. 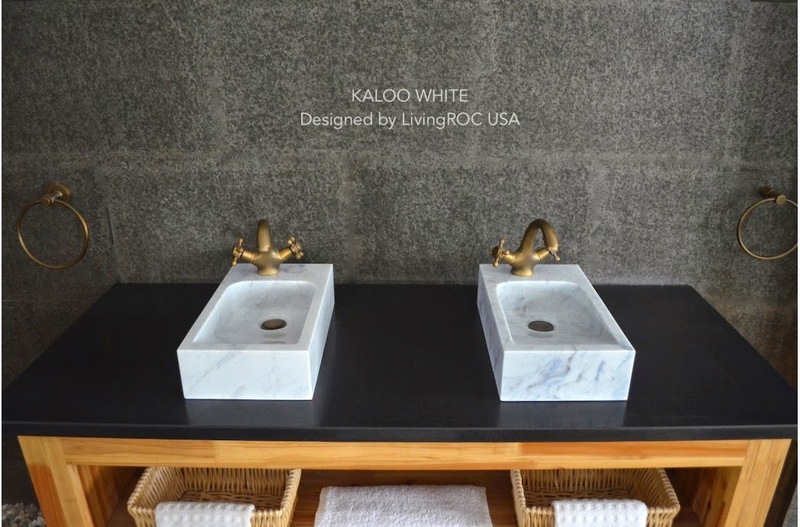 KALOO WHITE 15-3/4" x 9"x 4" is the smallest Natural stone wash-hands sink made in a genuine Human White marble with a simple and useful style, carved from a block of stone. Its shape, matte finish, without forgetting its very convenient slope give KALOO WHITE harmony and serenity. This is just a sample of ways to enhance your surroundings. 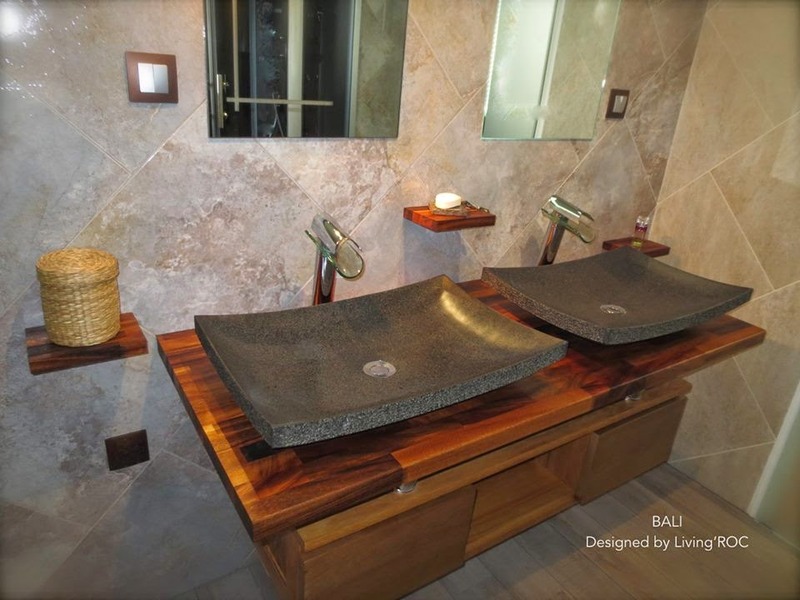 We invite you to take a look at what our natural stone products can do for you at LivingRoc bathroom.